I have successfully utilized Prolotherapy and trigger point injections for many years using lidocaine and dextrose. I had both of my torn rotator culls treated with Prolo with great results. More recently I had Ozone and lidocaine in both knees giving long term improvements in pain. The procedure was remarkably easy and except for initial injection practically painless. He showed me how to use it and did some injections on me and I taught him how to do a Suprazygomatic Sphenopalatine Ganglion Block. This morning I decided to try out the Prolozone on myself. I first injected Lidocaine and followed up with injection of Ozone. Remarkable comfortable and little post op pain. I did several areas and there was no pain after, barely even felt like I had done injection. Much more comfortable than lidocaine and dextrose. Ever the scientist I tried an injection with dextrose and followed by Ozone. More sore than just lidocaine and ozone but not a lot of discomfort. I recently read “Delayed onset muscle soreness at tendon-bone junction and muscle tissue is associated with facilitated referred pain.” (abstract below) and I did my elbow and and the tendon/ muscle area. More tender than a trigger point but far less painful than prolotherapy on the elbow and 30 minutes later virtually no discomfort similar to the experience with my knees. Previous injection with lido and dextrose was worse but was done when I already had a lot of tenderness. I am now set up to do Prolozone in my office. I am pretty sure this will give my patients more comfort and better results, but time will tell. Exp Brain Res. 2006 Sep;174(2):351-60. Epub 2006 Apr 25. Delayed onset muscle soreness at tendon-bone junction and muscle tissue is associated with facilitated referred pain. Gibson W1, Arendt-Nielsen L, Graven-Nielsen T.
Prolotherapy is used for many musculoskeletal conditions including joint laxity. It can be used to treat varying conditions like rotator cuff injuries, tennis elbow or any joint laxity. Prolo is short for Proliferation therapy and involves use of an irritant to increase collagen production. Prolotherapy alone cannot treat TMJ disorders but combined with a physiologic orthotic can actually fix some TMJoints. Physiologic Dentistry is amazing at addressing myofascial components of TMD but does not correct joint laxity. I frequently utilize prolotherapy in my office for select patients with TMJoint instability. Prolotherapy can be curative for clicking and popping from loose capsule and ligaments of TM Joint. 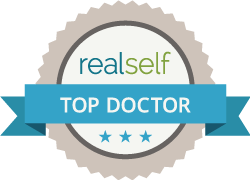 In Chicago area Dr Ron Hauser is one of the top prolotherapy experts worldwide. I refer numerous patients to his office for prolotherapy in areas outside the TMJoint. I also refer some of the most severe TM Joint patients for him to do the Prolo because in problem cases he is the number one expert! I do not know of any other doctors in the midwest who use Prolo therapy for TMJ Disorders. Dr Hauser is now practicing in Oak Park, Illinois and in Frot Meyers, Florida. His PA who has worked with him for years is in Chicago full time and does an excellent job as well. The following is from Pactical Pain Management Journal. ALL CApitals are my comments. Many of the subjective symptoms of pain, stiffness, and crunching sensation in patients with TMJ dysfunction were reduced greater than 50% in 92% of the prolotherapy patients in this study. A GREAT DEAL OF THEIS PAIN IS ACTUALLY MYOFASCIAL PAIN AND DYSFUNCTION OR TRIGGER POINTS AND TAUT BANDS IN MUSCLE AS WELL AS PAIN FROM FASCIAL ISSUES. The TMJ is often predisposed to similar degenerative changes and pathologies seen in other synovial joints as a consequence of the frequent and repetitive stresses that the TMJ undergoes. ALMOST ALL TMJ DISORDERS ARE THE RESULT OF REPETITIVE STRAIN INJURIES AND MICRO TRAUMA OR MACRO TRAUMA LIKE MVA’S. MANY CHRONIC HEADACHES TREATED AS MIGRAINES, CLUSTERS, AUTONOMIC CEPHALGIAS, TENSION HEADACHES, FACIAL PAIN, HEMIPLEGIC MIGRAINES ETC ARE IN FACT REFERRED MUSCLE HEADACHES AND ASSOCIATED WITH TMJ AND MPD. CORRECTION OF ORTHOPEDIC ISSUES CAN OFTEN ELIMINATE THEM WITHOUT MEDICATION. The first-line approach to managing TMD typically includes resting the jaw, relaxing the jaw muscles, and doing jaw exercises as recommended by a physical therapist. A NEUROMUSCULAR DENTIST TRAINED IN DIAGNOSING THESE ISSUES CAN BEST DETERMINE WHICH ARE MOST IMPORTANT ISSUES. Recommendations may also include eating a soft diet that minimizes hard repetitive chewing of crunchy or chewy foods, such as bagels and steak. All gum chewing must be stopped, talking minimized, and teeth clenching discouraged. Relaxation exercises that emphasize gentle range of motion of the joint are recommended. Application of warm compresses to the affected area twice daily, for 10 minutes, to decrease pain and increase joint movement are done. If this fails, then typically a short course of an anti-inflammatory medication such as ibuprofen is prescribed and often a dental consultation is given. The dentist then evaluates the patient for malocclusion and bruxism. Many times, a mouth splint used at night can completely resolve or control the problem. A NIGHT-TIME APPLIANCE IS USUALLY INDICATED IF PAIN IS ONLY AT NIGHT OR FIRST THING IN THE MORNING. DAYTIME PAIN IS BEST APPROACHED WITH 24/7 ORTHOTIC. NEUROMUSCULAR DENTISTRY UTILIZES A 24 HOUR ORTHOTIC WHICH USUALLY GIVES THE BEST RESULTS. When pain, clicking, and locking symptoms persist, TMD sufferers commonly seek out the advice of a myriad of TMJ dental and surgical specialists. Because the causes of TMD are varied and run the gamut from mechanical issues—such as disc degeneration and dislocation or erosion of the fibrocartilagenous surfaces of the condyle, fossa and articular eminence—to hormonal as well as psychological causes,9,10,11 the treatment approaches for the chronic TMJ case are also quite varied. As surgery is considered a last resort for TMD, it is common for sufferers to seek out alternatives and one of the treatments they may consider is prolotherapy. NEUROMUSCULAR DENTISTS ESPECIALLY REALIZE THE IMPORTANCE OF THE MUSCULAR AND FASCIAL TISSUES. This article presents a retrospective analysis of patients who received dextrose prolotherapy to their tempomandibular joints, and was conducted on a patient population from a charity clinic in rural Illinois. Patients were called by an independent data collector and asked numerous questions concerning their response to the dextrose prolotherapy they received. The data was analyzed in all TMJ pain patients, as well as a subset whose medical doctors told them there were no other treatment options for their TMJ dysfunction and pain. DEXTROSE PROLOTHERAPY IS WHAT I ROUTINELY UTILIZE IN MY OFFICE, WHEN I REFER PATIENTS TO DR HAUSSER HE WILL UTILIZE DEXTROSE AND OTHER MODALITIES. I LIKE TO THINK OF PROLOTHERAPY AS REGROWING WORN OUT PARTS. Prolotherapy is based on the concept that the cause of most chronic musculoskeletal pain is ligament and/or tendon weakness (or laxity). NEUROMUSCULAR DENTISTRY AGREES BUT FEELS THE CAUSE OF THE TENDON OR LIGAMENT WEAKNESS IS SECONDARY TO MISUSE OR CHRONIC REPETITIVE STRAIN INJURIES AND THAT CORRECTING UNDERLYING ISSUES IS ESSENTIAL FOR THE BEST RESULTS. PROLOTHERAPY IMPROVES PROGNOSIS AND OUTCOMES COMPARED TO TMJ TREATMENT ALONE. Prolotherapy has been shown in one double-blinded animal study over a six-week period to increase ligament mass by 44%, ligament thickness by 27%, and the ligament-bone junction strength by 28%.14 Another animal study confirmed that prolotherapy induced the normal healing reaction that occurs when an injured tissue is healing itself. In this study, the prolotherapy caused the circumference of tendons to increase by approximately 25% after six weeks time.15 I HAVE FOUND IN MY PRACTICE VERY LITTLE NOTABLRE CHANGE ONTHER THAN REDUCTION IN PAIN AND LOOSE LIGAMENTS OF THE JOINT. There was no alteration of the normal joint cavity; the proliferation occurred in the ligaments. There were no gross changes in the ligaments other than their thickening. Lymphocytes infiltrate the area injected within 30 minutes. Proliferation of tissue can be seen in four to six days. He found that a series of three to five injections were required to often permanently stop the clicking, pain, and hypermobility of the TMJ joint. Dr. Schultz noted that over the course of his twenty years of doing prolotherapy for TMD, not only was it effective, but the treatment lacked significant side effects. Dr. Schultz taught the technique of TMJ prolotherapy to Gustav S. Hemwall, MD. The primary author has worked with Dr. Hemwall and eventually assumed his practice upon his retirement from medicine in 1996. After acquiring Dr. Hemwall’s practice, Dr. Schultz’s son came to the clinic for a prolotherapy evaluation. He commented that in his father’s many years of practice as a dentist, medical doctor, and surgeon, the procedure that gave him the most amount of satisfaction in treating a TMJ case was prolotherapy. THE FOLLOWING REFERENCES ARE FROM THE ARTICLE BUT I SUGGEST READING THIS ARTICLE FROM THE NHLBI OF THE NIH TO BETTER UNDERSTAND THE FULL SCOPE OF TMJ ISSUES. THIS ARTICLE BY SHIMSHAK EXPLAINS HOW IMPORTANT TMJ IS RELATED TO OVERALL HEALTH EXPENDITURES. 1. American Dental Association. Available at http://www.ada.org/public/topics/tmd_tmj.asp Accessed 11/9/07. 2. National Institute of Dental and Craniofacial Research. Available at: http://www.nidcr.nih.gov. Accessed 11/9/07. 3. Van Korff M, Dworkin, SF, Le Resche L, and Kruger A. An epidemiologic comparison of pain complaints. Pain. 1988. 32: 173-183. 4. Ta LE and Dionne RA. Treatment of painful temporomandibular joints with a cyclooxygenase-2 inhibitor: a randomized comparison of celecoxib to naprosyn. Pain. 2004. 111: 13-21. 5. Helland MM. Anatomy and function of the temporomandibular joint. JOSPT. 1980. 1(3): 145-52. 6. Mayo Clinic. Available at: http://www.mayoclinic.com/health/tmj-disorders/ DS00355/DSECTION=6 Accessed 11/9/07. 7. The TMJ Association. Available at: http://www.tmj.org/basics.asp Accessed 11/9/07. 8. Eriksson PO and Zafar H. Musculoskeletal disorders in the jaw, face and neck. In Rakel RE, Bope ET, eds., Conn’s Current Therapy in TMJ. WB Saunders. Philadelphia, PA. 2005. pp 1128-1133. 9. Malone TP, McPoil T, and Nitz AJ. Orthopaedic and Sports Physiotherapy. Third Edition. Mosby. Philadelphia, PA. 1997. 10. Tabassum N, Trang D, and Gihan H. Relaxin’s Induction of Metalloproteinases is Associated with the Loss of Collagen and Glycosaminoglycans in Synovial Joint Fibrocartilaginous Explants. Arthritis Res Ther. 2005. 7(1): R1-R11. 11. Meldolesi G and Picardi A. Personality and psychopathology in patients with temporomandibular joint dysfunction syndrome. A controlled investigation. Psychother Psychosom. 2000. 69: 322-328. 12. Dorman T. Treatment for spinal pain arising in ligaments using Prolotherapy: A retrospective study. Journal of Orthopaedic Medicine. 1991. 13(1): 13-19. 13. Klein R. Proliferant injections for low back pain: histologic changes of injected ligaments and objective measures of lumbar spine mobility before and after treatment. Journal of Neurology, Orthopedic Medicine and Surgery. 1989. 10: 141-144. 14. Liu Y. An in situ study of the influence of a sclerosing solution in rabbit medical collateral ligaments and its junction strength. Connective Tissue Research. 1983. 2: 95-102. 15. Maynard J. Morphological and biomechanical effects of sodium morrhuate on tendons. Journal of Orthopaedic Research. 1985. 3: 236-248. 16. Schultz L. A treatment of subluxation of the temporomandibular joint. JAMA. September 25, 1937. 17. Schultz L. Twenty years’ experience in treating hypermobility of the temporomandibular joints. American Journal of Surgery. Vol. 92. December 1956. 18. Hagberg C, Korpe L, and Berglund B. Temporomandibular joint problems and self-registration of mandibular opening capacity among adults with Ehlers-Danlos Syndrome. A questionnaire study. Orthod Carniofac Res. 2004. 7(1): 40-6. 19. Darnell M. A proposed chronology of events for forward head posture. The Journal of Craniomandibular Practice. 1983. 1: 62-66. 20. Ernest E. Three disorders that frequently cause temporomandibular joint pain: internal derangement, temporal tendonitis, and Ernest syndrome. Journal of Neurological Orthopedic Surgery. 1986. 7: 189-191. 21. Headache Relief Newsletter, Edition 13. Philadelphia, PA: The Pain Center, 1995. 22. Al-Ani MZ, et al. Stabilisation splint therapy for temporomandibular pain dysfunction syndrome. Cochrane Rev Abstract. 2007. Available at: http://www.medscape.com/viewarticle/486213_print Accessed 11/9/07. 23. Hauser R and Hauser M. Prolo Your Sports Injuries Away! Beulah Land Press. Oak Park, IL. 2001. 24. Epker, J. A model for predicting TMD: Practical application in clinical settings. Journal of the American Dental Association. 1999. 130: 1470-1475. 25. Tecco S, Festa F, and Salini V. Treatment of joint pain and joint noises associated with a recent TMJ internal derangement: a comparison of an anterior repositioning splint, a full-arch maxillary stabilization splint, and an untreated control group. Cranio. 2004. 22(3): 209-219. 26. Rao V, Ferule A, and Karasick D. Temporomandibular joint dysfunction: Correlation of MR imaging, arthrography and arthroscopy. Radiology. 1990. 174: 663-667. 27. Hall L. Physiotherapy treatment results for 178 patients with temporomandibular joint syndrome. Am J Otol. Jan 1984. 5(3): 183-96. 28. Laskin D. Diagnosis of pathology of the temporomandibular joint: Clinical and imaging perspectives. Radiol Clin North Am. 1993. 31: 135-147. 29. Temporomandibular Joint. Available at http://en.wikipedia.org/wiki/Temporomandibular_joint Accessed 11/9/07.